Okay, I just add some loose topics to talk about so my list won't be as lazy as Martin's. That would be too lazy. Just some topics that are on my mind but wouldn't make a geeklist. As I have told you a few times, I like tension in games. But I'm not sure about you. How much tension do you like in games? Is there anything like too much tension, something that you don't want to bear? Or too little? Can you give some examples? What do you think/How do you feel about the recent trend of theme (especially fantasy/horror/sci-fi/adventure theme) getting more and more important even in Eurogames? You know, what I've "complained" about a few times, Reiner Knizia games slowly leaving the top 10, top 100 and thematic games (and Eurogames with strong theme) getting more and more popular. It's clearly not the age of the 2000s when the top 100 was full of complex "pure" Eurogames. Are you ready for the change? Is it good, bad or neutral? I celebrated my 36th birthday this weekend. This made me think about my age and my hobby. Whenever there is a poll about users' ages at BGG it turns out most users belong to the age group 31-35 (I mean there are fewer users in the 26-30 or the 36-40 age group and even fewer above/below that). What do you think are the main reasons behind these stats? 1. which one would you prefer ("neither" is not an option)? Which one would you least like to see? Okay, that's it. Now it's time to talk about our weekly plays. Monday and Tuesday were state holidays, so we had some extra time to play, even though I didn’t really learn any new games (only the expansion above) this week. Artus – my 10th play of the game and only the first one when she had AP. It was just because we haven’t played it for quite a long time and she had to get used to it again. Balloon Cup – with a very strange distribution of the wooden cubes (all the yellow cubes appeared in the first half of the game and all the reds in the second half) because of which she kept discarding her hand – and this helped her win in the end. Seasons – The thieving fairies seem to be just too strong (whenever a player activates their card, get two crystals, one from them and one from the “bank” – the last two times I played the winner won because of them). On the other hand, another card was changed for the new edition and it is seemingly very strong – in the original edition it said discard 4 energy tokens to play the uppermost card of the drawing deck free; in the new edition the cost is 4 crystals. Seemingly very strong, still, it seems it’s far from the strongest card here and I haven’t ever seen anyone win when they based their strategy on this card. That’s about cards strengths; otherwise it starts to seem to me this game is too much about cards and too little about the interesting part (dice and seasons) with quite a lot of accounting to top all this; after my third play I downgraded my rating a bit. 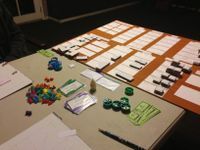 Love Letter – well, one of the players had to leave for half an hour during Seasons so I suggested playing Love Letter 3-player. One player was just learning it and the other one kept stating it’s a pure luck pub game – until we had a very interesting and long fight some rounds later. Then he shut up and said, wow, it was exciting. Bruges – my second play was just enough of it for me I guess. I kept facing cards of similar color when drawing the cards so most of the time I had cards of two color in my hand – so I had no chance to win. I still like it more than Rialto and even Rialto isn’t a bad game but this is clearly far from a game I would ever really like. As the extension arrived in the FLGS last week, I added it to the game this week. Oh yes, this one really opens up the possibilities. I went for the extension buildings just to try them – and the combination of the insemination centre, the large extension and the ranch proved to be enough for a win. Ra: The Dice Game – I know LoBsters kind of hate this one (was it a common unfortunate experience?) but I believe it’s one of the strongest dice games out there (of course if you don’t like dice games or you think no one should mess with Ra that might kill your fun). As my wife doesn’t (yet ) like Ra nor Priests of Ra, I was really looking for a good timing to introduce her to this one for quite long. Now I thought it was the perfect time for it – and while I won by 75:64, she did enjoy and like the game! It’s good to know, because after a few plays I believe she can really get used to the scoring of Ra and if she does, she is going to enjoy Ra more as well (or that’s what I hope). She likened the experience to Roll Through the Ages which, I believe, is spot on (George, can you explain why you like that one so much more than this one? Is it because of the implementation of theme?). The Kids of Carcassonne 8x – the last time we played it he didn’t really get the strategies/tactical posibilities. Now he has grown up enough to become a strong player of this kids’ game and right now he just loves it. It was a pleasure to see his abilities develop and learning all the tactics I used against him. Petanque on Sunday – with a little advantage given (he was standing closer to the wooden ball) the game ended with me winning 10:9, a really close game. Finally had time for gaming this week, after a few weeks of none. A game of Goa, which always leaves me wishing I had just one or two more actions. Still a great game, even 2p. I finally got my cards track all the way to the bottom this time, and then barely ever used the draw card action again. Oh well. Global Mogul is a new game I played both 2p and 3p, so that I could write a review, which is currently in the queue (EDIT: now posted). It's ugly and complex, but there's a lot of meat there, albeit not the fun of my favorite complex games. And a round of Downfall of Pompeii 2p, which is frankly a very silly game. I wonder if it will make more sense with 3+p. So far though, it reminds me a lot of Survive. 9x Tic Tac Doh! - We hammered out some games of Tic Tac Doh! to get it up to 30 plays... Didn't quite make it and we're about to head off to have the baby induced since she's at least two weeks overdue so we won't manage the challenge. Nevertheless I have 28 games played 30 times or more which is really good. I'd like to set some more goals for the future since I think it provides the drive to explore games I already own sufficiently to either play them out or make really good assessments of them. 1x Carson City - We played this yesterday. It's been so long since we played a heavy game. It was good fun though I walked away with it since I've played before and remembered the rules. Kathryn didn't remember it at all and struggled to pick up the rules. We might be able to get it out again but it reminds me of the beauty of simpler games (and that I need to get a regular group together). 1x The Resistance: Avalon - A few players insisted we have a 10 player game of this. As usual it was groupthinked into crapness at LoB. Two players were relative newbies and were stomped by the 'experienced' spies who have all played together a lot. 1x Carcassonne - We played the winter edition of this with a house rule which involved a negative ark of the covenant piece. Instead of playinga meeple you could move the 'Jack Frost' character who made everyone it passed over lose a VP. This just meant that farmers were more victory defining in the endgame. It was nice to play Carc again but again with 6 players it loses a lot of it's gamer charms. So those two experiences of LoB indicate that I need to try and get a group going that can play games more deeply, be that simple or complex games I just want some more thinky gaming goodness. It's at times like this that I'm having difficulty thinking of ANY multi-player spatial games that I expect to enjoy long-term. Can anyone think of a game that might restore my faith? Drowning in work this week so very little gaming, just one outing with the Monday night group. A notable one, though--we learned to play Ikebana! I think very few gamers have bothered to flip over and spin the B-side to Hanabi, and subsequent editions have even left it out completely. Ikebana was enjoyable, though not outstanding like Hanabi. It reminded me a little of No Thanks! because of the similar mechanism of paying others to avoid cards you don't want to have to take. It's played in 4 rounds with the last one counting double. I can't name at the moment what other games do this, but I know I have seen some, and I don't like it much. It seems like just an artificial way to sustain interest for people who are in such a losing position by that time they wouldn't otherwise have a chance. But I'm happy because my curiosity about Ikebana has finally been satisfied! Also, after 3 games of Ikebana, we decided to play a game of Hanabi, and the member of our group who hates deduction games actually said he "likes" Hanabi! So all in all an exciting evening. Age of Steam and Terra Mystica made for a good week even though I was terrible in both games. (1) Age of Steam - I'd played Steam a few times but never played Age of Steam. I see the parts of this game that are sometimes argued as better by the purists, such as the inability to buy back shares. If I were going to get serious about this game then I would probably prefer AoS. But I'm not going to get too serious about it, so I think I prefer Steam. I'd play either one though. Typing on an iPad is not fun. Two more plays of Finca, and I'll go ahead and declare this a winner with the wife. A really nice 2p game with exactly the sort of action selection I like, which is "take whatever action you feel like," rather than "get permission from the game." I can see how too much changes between moves at 4p, but at 2p this is a really nice game, with a lot of opportunity for tactical screwage. It is decidedly not a "relaxing" game, as Tom Vasel puts it in his video review. I hate to sound snarky, but I get the distinct feeling that he's terrific at capturing how I'll feel after playing a game once, a service I'm not sure I need. Love Letter was 2p after a friend stopped by to size up some games I might be selling. We played to three cubes and I won through incredibly clever long-term planning. Tomorrow night is my monthly group's second meet of the month. A lot of the group members are either teachers, or married to teachers, or (in two cases) both. Since September might be challenging to get quorum, we're squeezing in another night now while we can. Played Trains. It was more fun than Dominion ever was, even though I didn't know what I was doing. Need to play some more. Also played Three Little Pigs. That sucked. Overall, bad week for gaming. Today, I played half a game of Space Cadets, half a game of Thunder Alley. I'm going back to video games, thanks. Wasn't planning to make it to game night so it was a treat to get in late. Not much to say about it other than a couple games of Hanabi and Coloretto. Coloretto is an awesome filler. In this I will give reference to the people around the table so as to not confuse with number or players. Always order cards from oldest to newest. Additionally place cards into three other separate piles in your hand: known (something about the card is known, also keeps), playable, and dump-able. Be sure to maintain the relative order of these cards. Direct information given about a single card indicates that card to be played. When describing a single specific card for play always use the number if possible. Passing additional information always overrides this. When information is given about two cards and one of them is known (not playable) it is implied that the other should be played. Giving an unusual clue to your LH2 is a "finesse" which asks your LH1 to play the unknown card in the newly acquired position (if none exist the last card in the "known"). Unusual clues should be determined by LH1 so player must consider their perspective in determining if it is unusual. Any non play able card identified alone ("play this card") not in the dump position is considered unusual. Specifying cards to dump is: 3 or more cards is "for profit" (not unusual), 2 cards is unusual and a finesse, and a single card is incredibly unusual and a specific safe of LH1s dump card. A reverse finesse (telling your LH1 something unusual) tells LH2 to save his dump card. When given the choice of multiple cards to play or discard the card chosen holds meaning. The first card says nothing and is normal. The second cards asks LH1 to play his new card. The third card asks LH2 to play his new card. If 3 cards are available priority should be given to LH2 as you will only have one shot to send that signal where as you will then be able so signal LH1 again after that (assuming they don't play or discard). Unless LH1 has two cards playable in new and second newest positions in which case he will have a chance to finesse or take care of LH2s card. Giving a specific clue about any players new card is not good practice as it preempts their RH1 from giving a finesse. Therefore when you give a specific clue about any players new card and they are not your LH1 it is a directive for your LH1 to play his newest card. Giving a tandem clue involves two players in sequence giving clues about the same cards to identify a playable sequence that could not be otherwise identified with single clues. The first player will give a clue about 2 or more cards of the same color in a players hand this player must be at least LH2 or later. When LH1 sees this is obviously not a dump clue (as it normally would be) he is required to "follow up" on the clue given clarifying one of the numbers of one of the cards in the color clue. For two color cards identified giving the lower number indicates a playable sequence where giving the higher number indicates a non playable sequence but a playable "unknown" card thereby "turning off" the assumption of a playable sequence. Giving a clue for 3 color cards is a bit more complicated see below. These are not hard rules as the knowledge of cards already in the color could preempt many of these rules this is assuming no outside information. 354 - show the 4. Only reason for 4 in 3 spot. Otherwise would show X. as they are in order. Focus on playing cards before discarding therefore doing the opposite sends a signal to save to LH1. Do this very sparingly and only in dire situations (i.e. no clues left) as they may delay telling you a save because you have a card to play. Before giving a generic clue (not in new position) clue decide when that clue needs to be given and who is best off to give it. Try to plan out and guess what the next couple of rounds will look like. Don't fall into the trap of giving every good clue as you probably have some easy discards especially when not given info about your hand. Stupid Discard - If a obviously playable card is discarded then someone can play that same card from the new spot in their hand. Look around if you can't see someone else with the card it is you. In an empty row a double color clue indicates two cards of the same color and number if not corrected. Discard one learn the other. If a specific single clue is given about a color that another player holds a known playable card then the new clue is indicating the next in line card of that color. When in dire situations playing the oldest unknown card in your hand (which is probably a bomb) tells LH1 to save his oldest card. How do y'all feel about conventions like these [particularly in Hanabi which I know many of you enjoy]? Do you use conventions when you play games [when you play Hanabi]? Are they this extreme? Did a game-day-and-a-half [after-party playing at our place] this weekend. One of our members brought his five-/six-year old son along, so playing at the game-day was a little scattered / sparse. I managed to play a game of Endeavor with the big kids, then played Kraby and Memoir 44 with the little kid while the remainder of the adults played some stuff. Looked like King of Tokyo and 7 Wonders. They had played Love Letter before we got there, too. 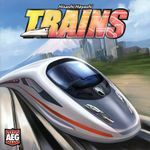 These Ameritrashy / microgamey / bluffy / fighty / dicey / drafty games [yes, I just lumped Love Letter, 7 Wonders, and King of Tokyo together... and I'll toss in Resistance for good measure; I don't really see much real difference between any of them] all just take way too long for the amount of actual gameplay you get out of them. There's all kinds of chin-stroking that is brought on by too many decision points for the actual decision impact. And it's all exacerbated by the fact that most of these sorts of games reset the framing / context / inputs for the decision-making every turn. There's little in the way of long-term infrastructure or strategic planning in them, that is. You get a new hand to mull over every turn in 7 Wonders. You get new dice every single roll in King of Tokyo. You get a new mission team suggestion every round in Resistance. And last turn's parameters are all but completely meaningless. So, unless and until you build up a certain familiarity with the game to provide you with some decent intuitive heuristics, you're liable to just sit there pondering and pondering [what always seems to happen to folks when I play or observe these games] moves that don't deserve that much time. It's always "oh, I could do this, or I could do that, or... oh, how about that? but then I'd have to... but what if..." and you've suddenly spent over an hour on what should be a fifteen minute game. Pretty sure Endeavor took less time than either 7 Wonders or King of Tokyo. That's nuts. Afterwards, we had a few guys come back to our place and I played 3p Innovation with them while Cat put Linus v2.0 to bed, then we played a 4p Agricola [in my limited multiplayer experience with the game, by far the toughest count, getting-things-going wise]. I don't know why none of you like Innovation with 3; I think it works quite well, probably better than with 2. We had a shootout 'til I finally pulled off a win with Bioengineering. Cat won Agricola, but I was awful close; I had a nicer farm, but she had lots of card points and bonus points. Our new player fell into the 'play all the cards!!' trap, but despite losing 15 on category-points, still had 22 from his cards and family / house. Pax Porfiriana x3 - what else? The first featured a bountiful economy, both of us having almost all our cubes in play, and an embarrassment of good options in the market. Matt was a buck short of a Command win, I thought I had a Loyalty win but miscounted, then made the fatal mistake of playing a newspaper for Loyalty rather than Outrage. The very next turn Matt Teddied me for the win. Second game was the complete opposite with a Depression from the get-go, immediately followed by a second once we clawed out of it. Matt clinically shut down my income and then powered through to a Loyalty win on the final Topple. Third game I went hard for Revolution from the off, including slave revolting my own plantation, and managed to bust out the 'rebellion of the macarena' to switch to Anarchy and win on the 2nd Topple. Agricola: All Creatures Big and Small - our other recent standby. This time I got the boar pen (store pigs in empty spaces in the top row) and the farm well (free feeding trough in each of the last three rounds) and managed to avoid negative points in all four types of animals for a 55-47 win. Battle Line - damn this was close! I took the first three flags, then Matt came back strong. We exchanged potent tactics cards and Matt crucially shut down one flag before I played there at all. It reached 4-4 and I had the card in hand to 'prove' that I'd won the final flag but no place to play it! We had to refer to the rules which said that I had to pass. That allowed Matt to play 'Fog' to make the flag resolve just on total value rather than formation for the win. Erosion - hadn't played this in years. It's still a neat multi-purpose cards game with a brilliant theme. Matt killed me in this one. Blue Moon - I'd packed the base set already but we had some expansion decks so we tried a Khind vs Aqua match-up. Unfortunately we weren't as sure of the rules as we thought, but I think we got it mostly right. Another super close game which I won on the tie-break. BraveRats x2 - Matt's played and enjoyed Love Letter but hadn't seen Kanai's 2p double-think gem before. We split this 1-1 and he liked it a lot. Friday - on the 4-hour train journey to my friend's parents' amazing house in Cornwall. Scopa x5 - I taught Dave and he crushed me 4-1. Perfect game for tray tables. Love Letter - I'd not thought much of 2p before but this was hilarious. Dave took a 6-0 lead, I came back to 7-7 and then he won the last two hands. Saturday: in between sailing trips, hot tubs and eating vast quantities of home-prepared food! Mascarade x3 - my first time playing with fewer than 6 players. The rules suggest that as well as giving each player one role, you put one face-down in the middle. This turns out to work brilliantly! The game starts to become a bit more strategic instead of just hilarious. I'm getting more and more impressed with this. Mamma Mia! - I packed a selection of easy-to-teach small-box games and this one fit the bill nicely. Still think it's Rosenberg's masterpiece. Spot it! - just the grown-ups this time. FlowerFall - seven players is too many but it was still fun. Dave's dad wiped the floor with us. Scopa - the 4p partnership game is very different from 2p but I love both. Hanabi x3 - impressively consistent showings from my crew of newbies - 20, 19, 20. Love Letter - at this point, I should probably increase my rating to a 10. Repeat plays of Mamma Mia, Mascarade and Flowerfall too. And finally, Win, Lose, or Banana. At the right moment (preferably late at night, tired/drunk) this is hysterically funny. Very busy week for me. I got to play games four days running. A fairly lightweight evening. Played Crappy Birthday twice, Snake Oil, Rise of Augustus and Guildhall. One heavyweight, Terra Mystica (My favourite game that I am rubbish at) and one filler, No Thanks!. Managed 3 points in No Thanks despite taking the 30 and the 35. My son actually asked to play a game. 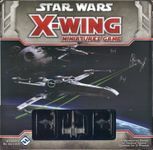 So we played two games of Star Wars: X-Wing Miniatures Game. We just played with the base set (Even though I have nearly everything). First was just Lee with the basic two Tie Fighters, against me (Luke) in an X-Wing. Unfortunately Luke did not survive. Then we played the first mission. Again I was in the X-Wing accompanying a rebel diplomat through Imperial space. Just made it with one hit point left. So we ended up even one win each. Return of gaming at work. DC Comics Deck-Building Game with one of my colleagues. I enjoy playing with Erik (my colleague) although not a gamer he easily could be. Picked up the game easily and we played it in around 45 minutes, which is handy as that is around the time we have. Someone else came over while we were playing and asked to play next time. Not with him playing we couldn’t, it would at least double the play time. Although he likes games and I have taught him a few he is the exact opposite of Erik, struggles to grasp any game. He struggled to understand Penguin Party and after at least four games of 7 Wonders still can’t get the difference between resource cards you have played and ones in your hand. Not finished with a lunch time game, my daughter and her boyfriend came round in the evening and after Pizza and with Lee also joining us we played some more games. We started with Fauna, where I think I gave the game away. We had a Bactrian Camel and it’s only found in one location. Most of us went for somewhere in Africa and just before Kelly placed I mused aloud, maybe we are thinking of the wrong Camel. It’s only one location, it might be somewhere like The Gobi Desert. So Kelly went there and got the points, me and my big mouth. A game of Snake Oil where I felt very un-inspired and scored no points. We went round the table twice, so I had six chances to score. Finished with Kelly’s favourite Say Anything. I fail miserably playing this with my children as I am just not disgusting enough. Just got back from a week's holiday. We spent a lot of time hanging around airports or on trains playing Ipad games - Battle Line, Ticket to Ride 3 times, Take it Easy too many times and Can't Stop.